We offer a full range of property management services tailored to you as an investor, homeowner, or landlord. We have an extensive portfolio of single family homes, townhouses and condos in the Folsom area. Some of the many benefits of trusting KTB with your Folsom Property Management needs are detailed below. KTB Property Management has leased over 3,000 houses in their 20 plus years of Property Management. We currently lease 10 to 15 homes a month; some using or Full Management Services and others with just the Rent-up Option. Our market place is the entire greater Folsom region including Placer, and El Dorado counties. Here is an overview of the steps we take to market and lease your property. For the do-it-yourself investor, looking for maximum marketing exposure for the dollar, KTB Property Management will list your property in our marketing program, screen the callers, get an application (and credit report) and pass them on to you. The property can be anywhere in greater Folsom; our marketing program covers Folsom, Placer, Yolo and El Dorado counties. 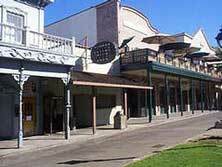 The City of Folsom has a rich history beginning with the '49ers during California's great Gold Rush. 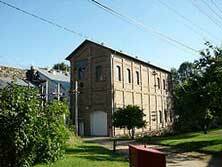 It was the site of the West's first railroad and the world's first long-distance transmission of electricity. Today Folsom is a forward-looking city, a high-tech town, with firms ranging from small to large international corporations. Folsom also boasts excellent schools, beautiful neighborhoods and outstanding shopping, dining and cultural options. Although Folsom has the flavor of a small city, it does not lack the conveniences of modern living. It has ample shopping and cultural facilities, either in town or within a few minutes drive, and there are plans for more. It also has new hospital facilities and an expanding corps of professional specialists, including doctors, lawyers and financial consultants. Folsom is also becoming a city in which residents find their employment right here. Many high-tech companies have built large production facilities. Industrial growth continues with new business parks and retail expanding throughout the city. 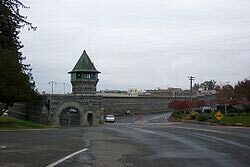 Folsom, California is much more than a prison town – as described by Johnny Cash’s “Folsom Prison Blues” and Historic Folsom Prison. Folsom is home to every kind of outdoor recreation from water sports to cycling due to its location on the American River Parkway. Ideally located between Sacramento and Lake Tahoe, and close to hundreds of Sierra foothill wineries, Folsom has it all. Shopping destinations such as the Palladio Lifestyle Center and the Folsom Premium Outlets offer designer brand stores. Experience outstanding dining choices. With easy access to three water recreation areas, it’s no surprise that water fun is a way of life in Folsom. Whether at Folsom Lake, Lake Natoma or the American River, rafting, wakeboarding, water skiing and other water sports are available for your enjoyment. 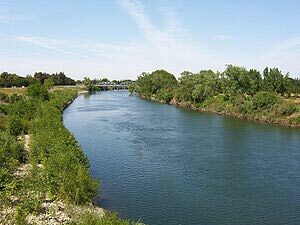 If you’d rather stay dry, you can lounge on one of the swimming beaches or catch a bird’s eye view of the waterways from the scenic trails, that wind through Folsom, such as the American River bike trail. The Folsom Zoo Sanctuary will captivate animal lovers of all ages. More than just a zoo, the sanctuary is home to a unique family of animals and is a true haven for homeless wildlife of all varieties. Step back in time at the Folsom History Museum or take a stroll down Sutter Street to check out its specialty shops and restaurants.